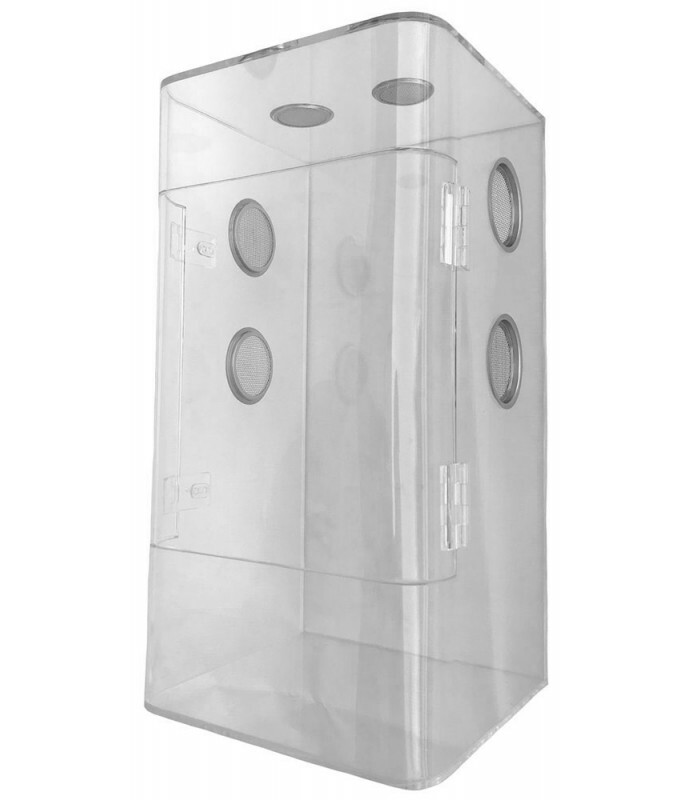 Lugarti's high quality, crystal clear Tarantula Enclosure boasts 6 flush-mounted Stainless Steel vents, two lockable hasps, polished edges, and a complete bowed front for maximum viewing. 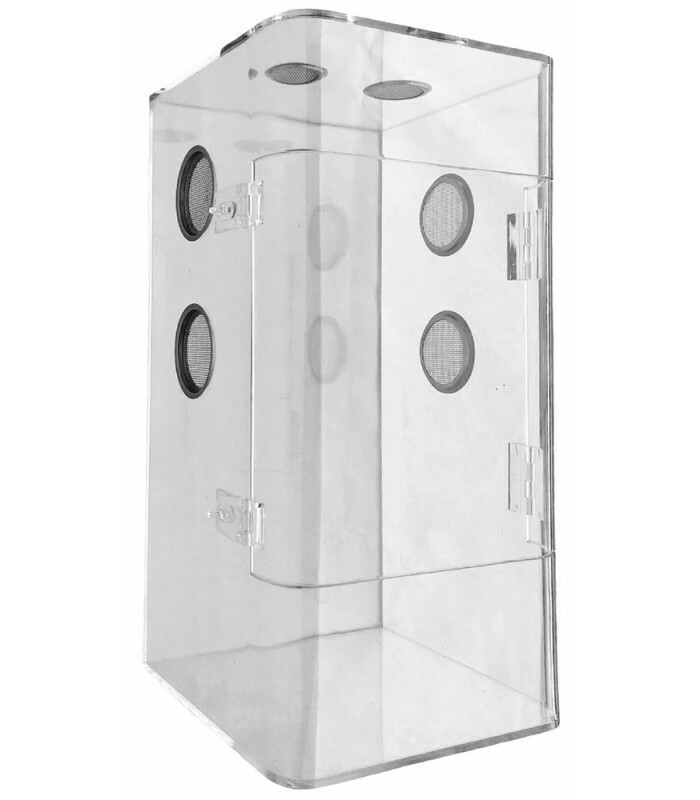 There's no other enclosure like it on the market. 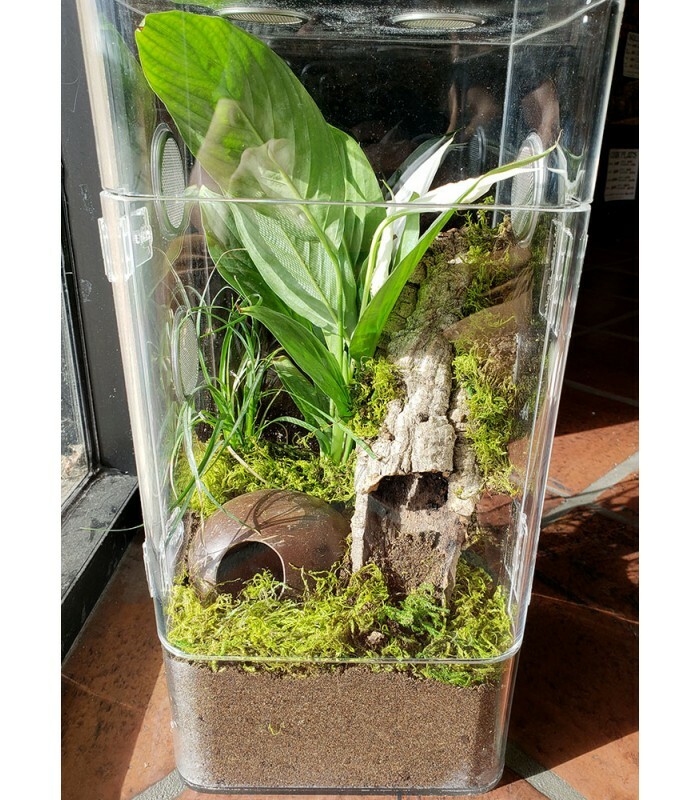 Size: 8" x 8" x 16"
Recommend for Tarantulas 2 1/2" - 8" in length. 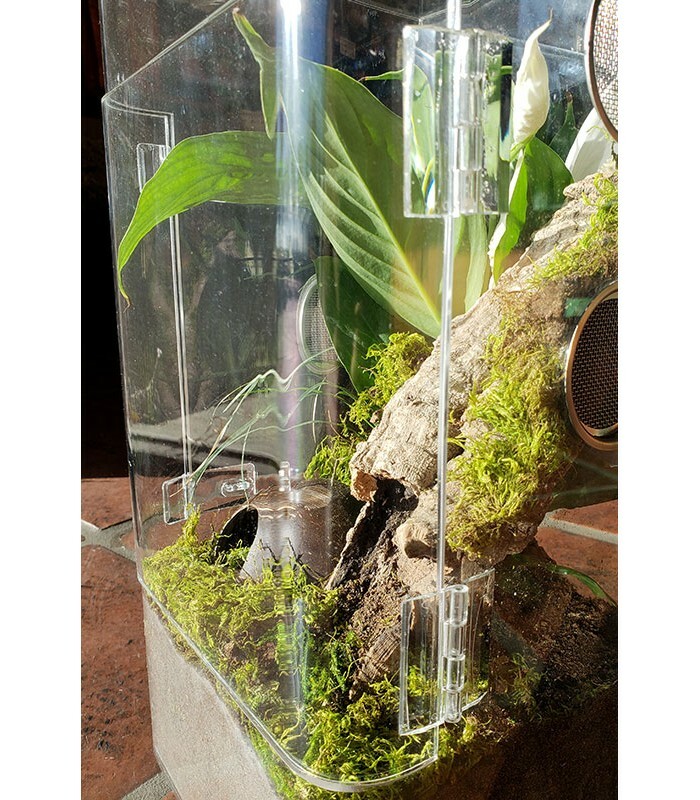 A 4" bottom dam allows for the perfect amount of substrate, and a 3" lip on the top allows you to open the door without disturbing your tarantula or damaging its webbing. The entire left side, front side, and right side are one piece of acrylic (with the door cut out), so there are no visible glue seams from the front! No other tarantula enclosure offers stainless steel vents. 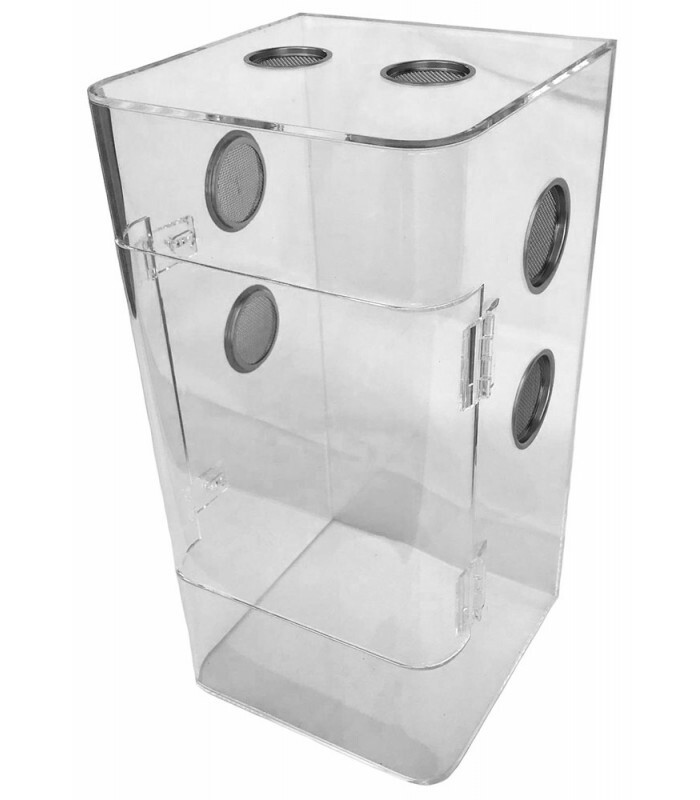 These super strong, six vents - 2" large vents on the side with 1.5" vents on top - offer the perfect amount of ventilation while holding in the perfect amount of humidity. The vents are strong enough that you don't have to worry about Tarantulas chewing through them like they do with aluminum screens. 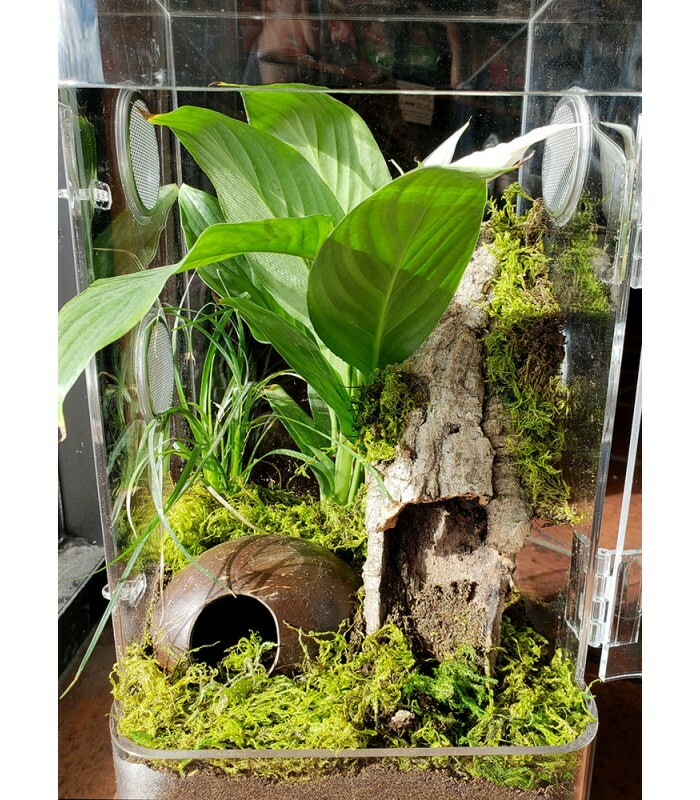 IMPORTANT: Under tank heaters and or heat lamps are not recommended for use with acrylic enclosures.